Although another larger piece is on the easel, today I felt the need to paint something I could finish in one session. 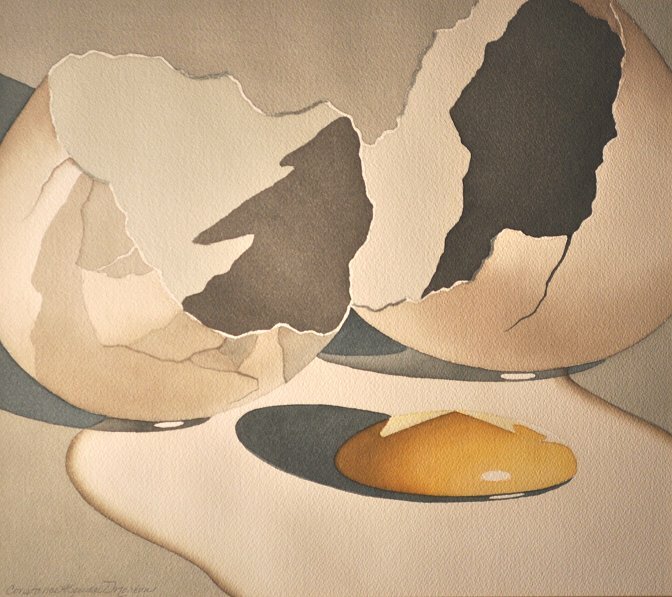 I painted my first egg way back in art school for a design assignment titled "The Container and the Contained." If not the most brilliant idea, it was at least completely original at the time. 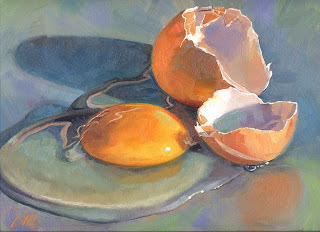 Ironic that eggs have since become a rather popular subject in the daily painting movement. It's also kind of interesting to compare one's treatment of the same subject over a long period of time. love both eggs, but better the egg bellow. I really like them all, Connie. In fact, the one from 1978 is very eye-catching. The newest is my favorite, of course! Thanks so much for your comments. There was another one along the way I never photographed--a large pastel I donated to the Channel 6 Art Auction several years ago. I think it sold for $400.